Allglass Windscreens had previously used an ADSL 8Mb/s package from another provider, but found that it was under growing strain as the data demands of the business increased. “In addition to being too slow in general our previous broadband carrier was only capable of delivering upload speeds of 500Kb/sec which would vary wildly throughout the day,” said Allglass Managing Director Paul Murphy. For Allglass resilient, low cost broadband and phone solutions are not just essential for carrying out business, they are also crucial for meeting compliance standards as the company deals mainly with the insurance industry. The company relies on critical online verification systems to liaise between the public and insurers. A stable Internet connection is essential for them to be able to process customers quickly. Companies were compared based on costs, efficiency and technology. 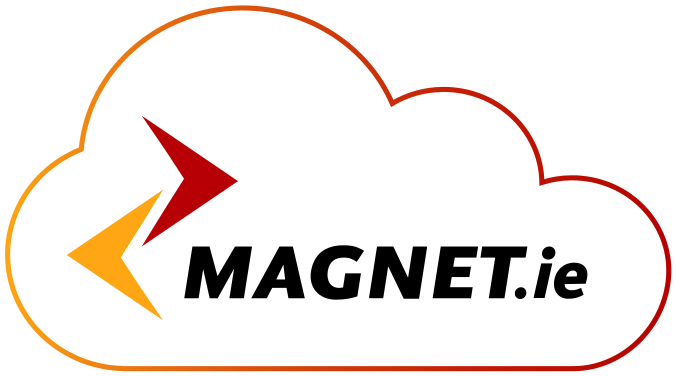 Magnet Business was awarded the contract providing Allglass Windscreen’s telephony and data, using its business phone package, Voicenet Gold, and Magnet’s 4Mb/s symmetrical broadband product. “After some research we found that Magnet’s package was the only affordable solution that could give us the same high speed all day as well as provisioning the fast upload speeds we increasingly need,” said Murphy. Voicenet Gold is a fully outsourced phone system offering customers all the functionality of a corporate level phone system, including corporate level phones for a fixed monthly fee. The package allows for substantial savings on call costs as calls to other sites are free. “We communicate daily with a number of depots in our network. With this package the calls to other premises are free like internal calls which has shaved a large amount off our monthly bill,” said Murphy. Voicenet also has a call reporting feature that creates reports that detail what calls are being made, to where and their duration. This report can be set up to be delivered at any frequency the user requires meaning that phone costs can be monitored with precision. Having a clear disaster recovery plan is a key requirement for meeting compliance from the insurance industry. “Having this kind of contingency plan in place is not just good business practice but is also something our clients in the insurance industry require of us. With Magnet’s Voicenet service, as all our telecommunications equipment and software is hosted offsite it can be instantly rerouted to a new site in the event of a disaster. This help us comply with our customers requirements while also giving us piece of mind,” added Murphy. The recording of voice calls has become another requirement for processing customers’ claims with insurers. Calls needed to be recorded digitally and archived in a way that they can be easily and instantly recalled. “We went to other providers providing this service and found it completely unaffordable. Magnet had just introduced a new call recording feature that was substantially less expensive and very easy and efficient to use,” said Murphy. With this requirement soon to become compulsory, Magnet’s system allowed Allglass to meet current customer requirements as well as future-proof its business processes for future compliance requirements. Call reporting features detail what calls are being made, to where and their duration, allowing for precise monitoring of phone costs. Consistent high-speed broadband and higher upload speeds allow use of critical online verification systems. Calls are recorded digitally and archived in a way that they can be easily and instantly be recalled, allowing Allglass to future-proof its business processes for compliance requirements.